There are volumes and volumes of Chinese poetry that has been translated into English, most of it from the Tang and Song Dynasties. Translations range from literal to free. That is a literal translation that stays as true to the original as possible and tries as much as possible to retain the form and content of the original poem. On the other hand, you have free translations that focus on capturing the feeling or mood of a poem with less concern on accounting for every word in the original. When translating Chinese poetry, the first thing you lose is form and rhyme. It is also very difficult to translate the literary and historical allusions without copious endnotes. I also argue that when you translate a poem you end up with a new poem, the product of the translator. In other words, a Burton Watson translation is very different from a David Hinton translation. I would even go so far as saying that reading poetry in translation is reading the poetry of the translator. In Keats’ famous poem, “On first looking into Chapman’s Homer” he talks about how Chapman’s translation of Homer moved him. He had read other translations of Homer, but it was Chapman’s translation that really affected him; not Homer, but Chapman’s Homer. Thus, when we read a particular translation we are reading that translators version of the poems. Over many years, I have read many translations of the Tang Dynasty poet Du Fu (Tu Fu), considered to be one of the greatest of all Chinese poets. His poetry was good, but never really resonated with me. 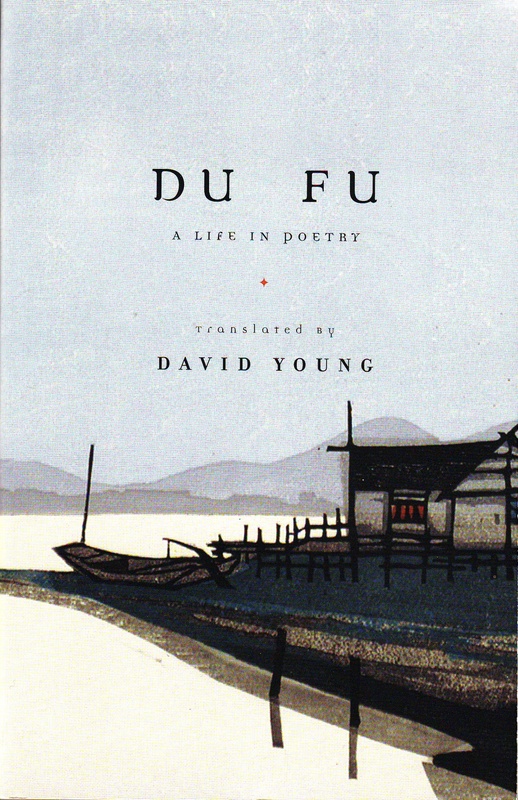 Then in 2009 I bought a new translation of his poems called, Du Fu: A Life in Poetry translated by the American poet, David Young. I had read some of Young’s original poetry and liked it quite a bit so I was interested in his take on Chinese poetry. The book is arranged chronologically following Du Fu’s life. I began reading and could hardly put it down. It read like a biography but in verse. It was fabulous and I couldn’t believe this was Du Fu. For me, David Young’s translations of Du Fu moved me like no other translations I had read before. 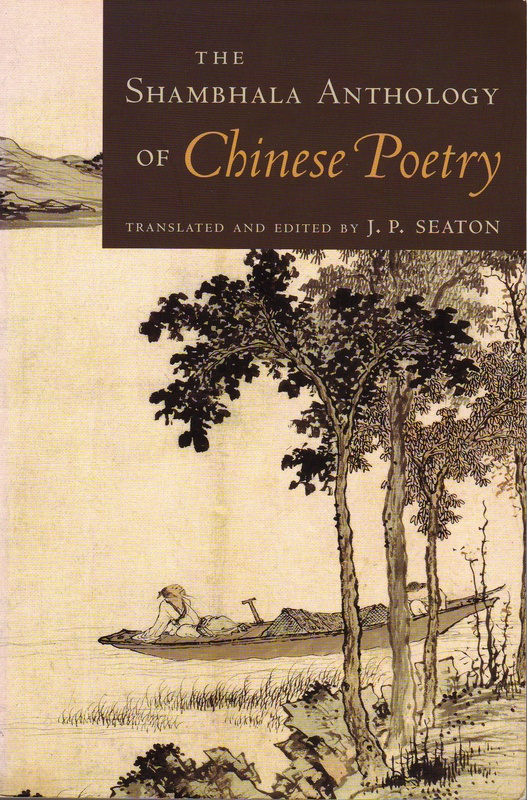 With all the translations of classical Chinese poetry out there, what should you read? What do I recommend? Keep in mind that my recommendations are subjective. Some of my colleagues will not agree with me, especially since I am not a specialist in Chinese poetry. I do teach a Chinese poetry in translation course, but that is not my specialty (though I did take several graduate seminars in Chinese poetry). My current favorite poet is David Hinton, a full-time translator of Chinese poetry. He has published a large anthology of Chinese poetry as well as individual collections of the more well-known Chinese poets. I like his anthology, Classical Chinese Poetry: An Anthology. I find his translations fresh and accessible. He strikes a nice balance between staying true to the original but creating a fine poem that reads well in English. 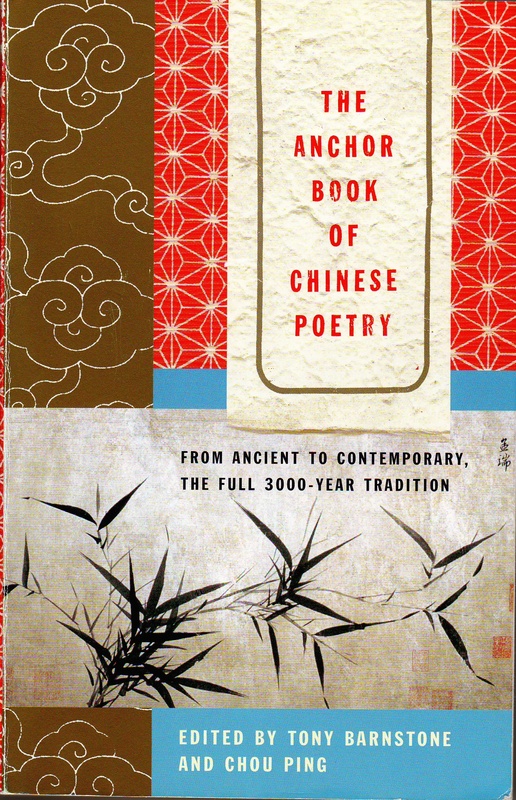 Two other anthologies that I like include: The Anchor Book of Chinese Poetry: From Ancient to Contemporary, The Full 3,000 Year Tradition, edited by Tony Barnstone and Chou Ping and The Shambhala Anthology of Chinese Poetry, translated and edited by J. P. Seaton. Barnstone is a poet and translator and Seaton is an academic (professor of Chinese). If you want something more poetic and perhaps less true to the originals, I recommend, The New Directions Anthology of Classical Chinese Poetry, edited by Eliot Weinberger. This volume includes translations by famous American poets, like William Carlos Williams, Ezra Pound, Kenneth Rexroth, Gary Snyder, and David Hinton. This will give you a feel for some of the first translations of Chinese poetry in the West. I also want to mention the translator Red Pine. This is the pen name of Bill Porter who has spent his life translating Chinese poetry and Buddhist classics. One thing I really like about his translations is that he always includes the original Chinese and does an excellent job of contextualizing the poems providing background information about the poets, the historical context, and the situation in which the poet wrote the poem. I like this kind of contextualization. He is one of the few translators who has translated all the known poems of the Tang Dynasty poet known as Cold Mountain. 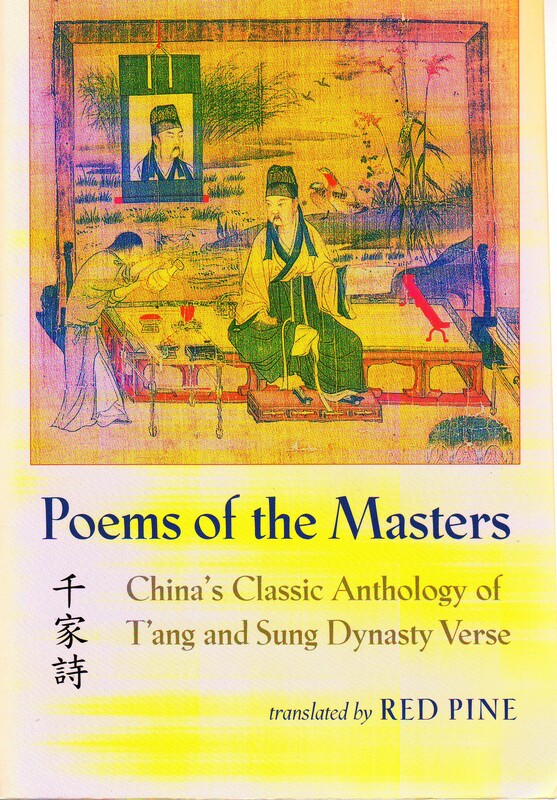 Perhaps his other most important work of Chinese poetry is his translation of Poems of the Masters (千家詩 qiān jiā shī). This is an important anthology first published at the end of the Song Dynasty. Finally, if you are really into Chinese poetry and know some Chinese I recommend How to Read Chinese Poetry: A Guided Anthology edited by Zong-Qi Cai. 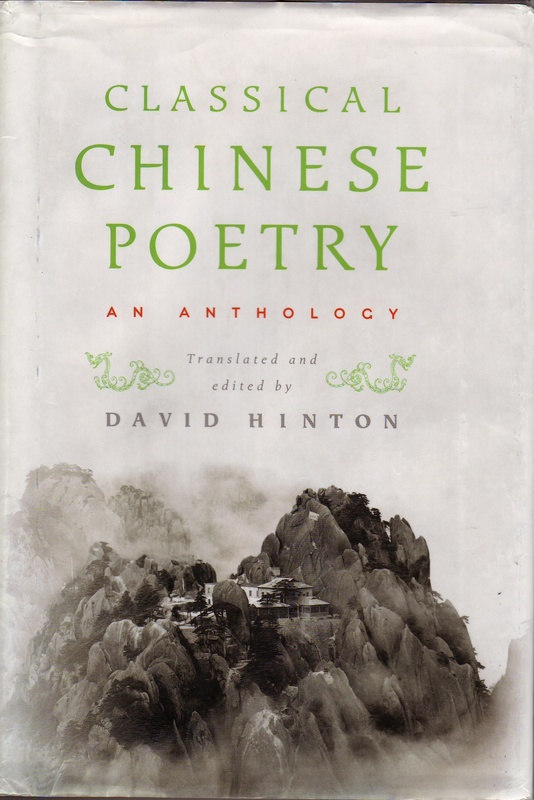 This book provides the original Chinese, pinyin, and an English translation, as well as exhaustive explanations and commentary on the form of the poem, the literary and historical allusions, etc. It is rather dense and not for casual reading, but well researched and written. Two other important anthologies that should be mentioned are Burton Watson’s The Columbia Book of Chinese Poetry and Liu and Lo’s Sunflower Splendor: Three Thousand Years of Chinese Poetry (translated by many different translators). These two are a bit older and in my opinion not as fresh or as interesting as the translations I mentioned above, but worth looking at. Of course, most anyone translating Chinese poetry today owes a debt to Watson for his groundbreaking translations. Of course there are many other anthologies that are worth reading, but to me these are the highlights.